We love our children in so many ways. We love their hugs, their funny ways, their accomplishments, and we love them right through their sorrows and sicknesses. From the first time we saw their infant faces, we couldn't help but love them. But, all loves are not created equal. Children thrive on a particular kind of love called unconditional love. Unconditional love is not about the child, the unique characteristics, or the behaviors. Unconditional love is about grace. It is love that stands regardless of the child, regardless of the behavior. 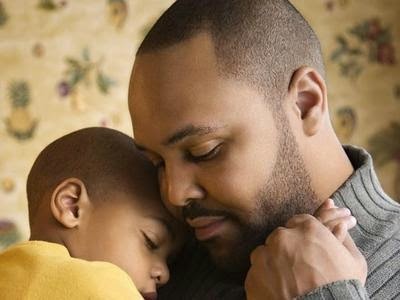 It is love that is always present, surrounding your child, protecting your child, providing a safety net, and assuring your child that there is belonging. If they mess up or achieve great things, you love them. If they are sick or strong, you love them. If they follow in your footsteps or take their own path, you love them. If sad, bad, frustrating things happen, you love them. If you are away from them, you love them. There is nothing that can make you love them less; nothing that can make you love them more. It is grace because it is not earned; it is given. This is not a kind of love that excuses bad behavior. Behaviors must be corrected, but love never changes. This is not a kind of love that ignores good growth. Behaviors must be encouraged, but love never changes. This is the kind of love that allows children to learn and grow by taking risks. They know that risks might result in mistakes. But, unconditional love reminds them that failure teaches. This is a kind of love that allows children to develop empathy, and to love others. This is the kind of love that God shows us what He shows us grace.